In this publication, Dr Eric Levenstein examines the practical challenges of business rescue implementation in South Africa and particularly the development of legal precedent, thinking and interpretation of the provisions of Chapter 6 of the 2008 Companies Act. Weaknesses in the current legislation and the future of the business rescue process in South Africa are also considered, together with recommendations for change. The publication should be of interest to directors of companies who might, at some point in the future, be exposed to a rapidly deteriorating state of financial affairs in a company and who will need to understand and unpack the obligation imposed on directors when deciding whether or not to place the company into a business rescue process, as opposed to carrying on the trade of such company regardless. Chapter 6 of the 2008 Companies Act introduced a new business rescue regime for financially distressed companies. 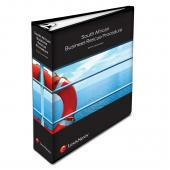 The publication revisits the reasons for the failure of judicial management in South Africa and the development of South African insolvency law and its impact on, and the need for reform in, business rescue practice prior to the final incorporation of Chapter 6 into the 2008 Companies Act. The development of rescue regimes applicable in foreign jurisdictions set the tone for development of business rescue practice in South Africa. By the South African government adopting many of the international core rescue principles applicable in foreign jurisdictions, South Africa has created a modern business rescue regime which mirrors similar systems abroad and which is aimed at saving financially distressed companies, preserving employment and restructuring the discharge of debt. Rescue is a universal concept and one which is very much within the legal framework of restructuring, insolvency and rescue practitioners in various jurisdictions around the world. The publication stimulates continued thought and interaction amongst all stakeholders involved in business rescue and restructuring processes. This includes lawyers, law students, business rescue practitioners, creditors, financial institutions and economists who are interested in the impact that failed rescue and liquidations will have to the economy as a whole. CHAPTER_2 - The development of insolvency law in South Africa: a shift from a pro-creditor to a pro-debtor culture? CHAPTER_10.2 - Shift from a pro-creditor to a pro-debtor rescue culture?